As a New Year starts, it is always a great time to take stock of the past year. I like to pause between Christmas and New Years- take time to slow down, appreciate family and friends, express gratitude for life and health, and refresh my mind. This is one of the lessons I’ve learned from my cancer journey. Living life on the 24/7 treadmill is not healthy. Slowing down and learning to savour life instead of running through life is not only less stressful, but infinitely more fulfilling and definitely more healthy. So I challenge each of you in the year ahead to have a good look at your lifestyle, especially if you have cancer or have had cancer. Certainly getting cancer makes a person re-evaluate life. I know I certainly did and still do. There are a few books on the subject of slowing down. They aren’t always listed under books for cancer patients, but the wisdom in them sure applies. Definitely well worth a read. 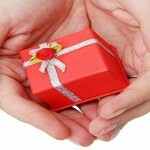 May you find health, purpose, fulfillment and love moving forward into 2011 and beyond. Now that the rush and bustle of Christmas is over for 2010, maybe there is time in your life now to slow down and be aware of what is important. In our North American culture, this idea of slowing down so we can actually hear ourselves is completely foreign. Yet this aspect of living is so important. Life is way too short to spend it running from goal to goal, not even aware of the journey in between. This is actually where real living takes place. This is where we grow as individuals. We learn new skills, gain insights, meet new people, find out about ourselves. Having a life threatening illness, such as cancer, for sure puts you in this mode. Books coping with cancer often deal with lifestyle issues – this reassessing of life’s priorities. They cover stories by other cancer patients, benefits of meditation, nutrition, exercise and much more. In our busy lives, we often don’t pay much attention to these issues. It would be a better world if more people were aware of how fragile life is, how much we need to take it slower – before we get the two by four learning – a life threatening illness or event. As someone who had Stage 3 cancer in 1990, I have read, heard, and experienced many amazing outcomes of a cancer diagnosis. We in North America, as a nation and culture, are programmed to believe that medical science is THE only way to heal. If you look at history, this is a relatively new belief. In older cultures, there were many ways of healing which interestingly enough are now being acknowledged and verified. Medical science and these wise ancient healing methods can work hand in hand to your good health. Here is a video clip of an very insightful interview with Dr. Bruce Lipton, author of ‘The Biology of Belief’ by Dr. Wayne Dyer. It will give you food for thought and maybe challenge your belief systems. You will find that there are many books resources for cancer patients which address these views. I would highly recommend ‘The Biology of Belief’ by Dr. Bruce Lipton as a starting point. Let me know what you think! What has been your experience? A cancer diagnosis can cause a major shift in a person’s perspective and although not a easy thing to hear, can be an opportunity for change. Initially, absorbing the reality of the diagnosis and dealing with the treatment options is foremost. However, as you travel down the healing path, many other issues come up – more than the physical. Treatment is the first phase of the healing process. The other phases move into the mind-body-spirit connection. This area becomes more challenging as often uncomfortable issues surface as a person digs deeper into self. This part of the work is so powerful. It is learning to not only move through cancer, but more importantly it is learning how to live well and differently. Ultimately, a cancer diagnosis can call a person to not only cope with the treatment but can move them on a path to greater fulfilment. I know this seems a strange thing to say, but I think if you talk to most individuals who have been on a cancer journey, they will verify this fact. There are many books for cancer patients and organizations that will support your healing. One book I just finished reading is ‘The Biology of Belief’ by Dr. Bruce Lipton. Definitely worth your time. The information will expand your horizon. Can Sound and Music Promote Healing for Cancer Patients? There are a number ways to promote healing. With a diagnosis of cancer, one tends to look at them all. One that is very helpful and easy to implement is sound and music. Sound has a vibration which connects with your energy. Do you ever get tingles up your spine when you hear a piece of music that resonates with you? That’s energy and sound at work. 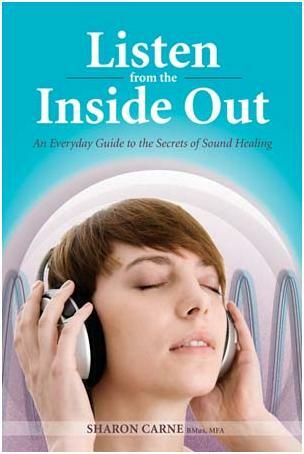 Several books have been written about sound therapy, especially for healing. Those with cancer can definitely benefit. You may have heard of crystal bowls. I’d encourage you to investigate this mode of healing therapy. If you can, find a class or workshop in your area. If there aren’t any, investigate webinars online and read sound therapy books for cancer patients. There is so much to learn. Find what works for you. It could be sound and music. It is true, chemotherapy treatment definitely affects your appetite and palette. Foods just taste different, sometimes a bit metallic. Yet keeping your weight and energy up is paramount. This means you have to eat. The question is what. Interesting side note, my cancer buddy and I always found that on the 4th – 5th day after chemo, we needed something greasy. It seems it was to absorb the chemicals from the chemo. I opted for a fried egg sandwich. She had fish and chips. Foods we normally didn’t eat, but in the moment were perfect. Homemade soups and smoothies are also a good option. It’s a time to suspend diets per se and eat. Try to stay away from junk food and highly sugared items. When you are over this part of your treatment is the time to get back to a nutritious lifestyle and the above books are extremely insightful. It seems that everyone knows at least one person who has had to contend with life-threatening cancer. Whether it’s an elderly grandparent, a young child or a close friend, the news always comes as an unpleasant shock. While it’s tempting and somewhat understandable to dwell on these tragedies, there is always an upside. For instance, cancer researchers have made tremendous headway in recent years. Just a few decades ago, most cancer diagnoses could be equated to death sentences. These days, the condition is often treatable. One of the best ways to dispel cancer fears is by learning more about the disease; one of the best ways to do this is by reading books for cancer patients. These valuable resources contain an immense amount of information concerning the various cancers, viable treatment options and suggestions for coping. Many of us, in the course of living, suffer hardship and pain. This hardship and pain is often buried in order to survive and move forward. Yet the memory remains with us at a cellular and subconscious level often affecting our behaviour and instinctive reactions to situations. Sometimes, these reactions are not pleasant and we wonder why they happen. We can observe in others, as well, odd reactions to seemingly simple exchanges. The cancer journey often brings up these issues during the healing process. Being guided by stories and music, the combination has the potential to unlock these hidden emotions bringing them to the surface where they can be acknowledged and gently moved along. There are many books coping with cancer available to help you through this process if you do not have access to a trained facilitator or therapist. These books and resources are also helpful to expand awareness and gain insight into the healing journey of others. A Cancer Diagnosis! Now What? The word ‘cancer’ strikes fear in anyone who has heard it, especially if it is directed at you. Lots of people don’t hear much else their doctor says after hearing cancer. This is why it is always helpful to have someone close to you attend the appointment with you. They will hear the important information after your mind has shut down. So, the question is – ‘Now What?’. Life stops or rather goes into pause while you gather your resources and figure out a treatment plan. 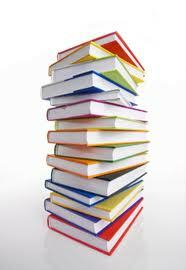 During this time, I particularly found it helpful to get information by reading books for cancer patients. One author at my time of diagnosis was Dr. Bernie Siegel. There have been many since, but Dr. Siegel still offers hope in the face of fear. 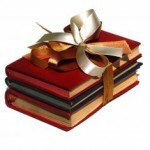 If you are not a reader, there are many audio books and DVD’s available. You can listen in the car, while waiting for a doctor’s appointment, or on a walk. Be willing to listen. Often someone going through cancer just needs someone there who will let them share their fear, pain, frustration – and even laugh with them. Bring them normal – include them in the daily comings and goings of life. When they are feeling well between treatments, this is a wonderful gift of allowing them to step out of the ‘cancer arena’ and slide back into normal. 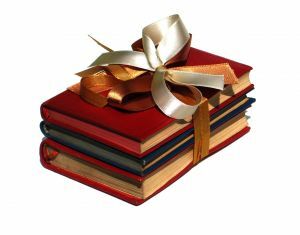 Gift a book – there are many excellent books for cancer patients – inspiring stories, tips and advice, information, meditation, etc. For those who aren’t readers or find it too tiring, there are always the audio tapes, DVD’s. Bring a meal – for them or for their family. Often cooking becomes tricky when fatigue sets in or taste buds are off from treatment. 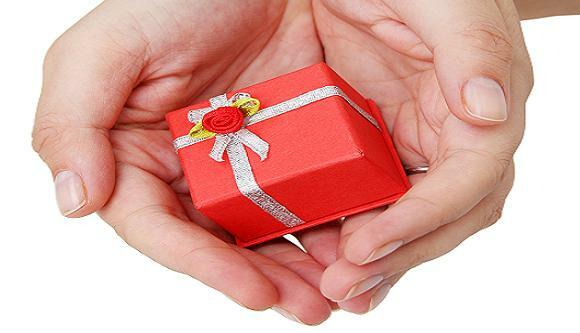 Both the patient and their family will appreciate the kindness. These are just a few of the ways you can lend your support and friendship to someone on this cancer journey.